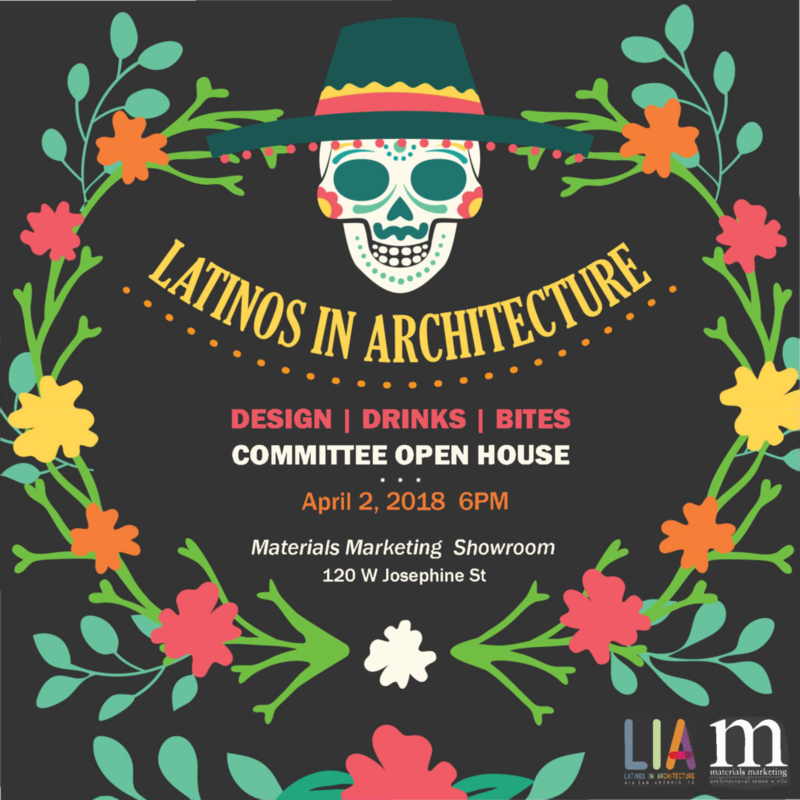 Plug into the AIA San Antonio Latinos in Architecture Committee! The committee meets every First Monday of the Month from 6-7:30 PM. Join them for a special open house meeting, Monday April 2nd, hosted by Materials Marketing on their showroom floor. Lite refreshments provided.